To share TikTok profile means to promote your account. 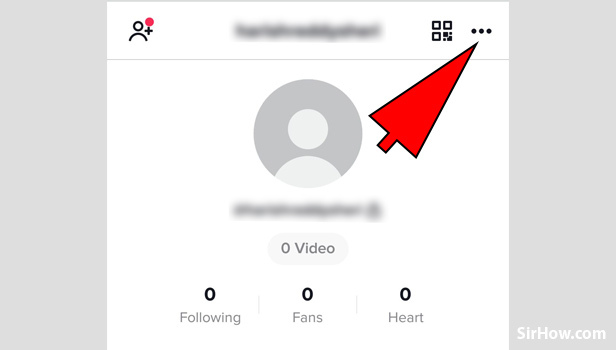 To allow it's users to promote their account, TikTok has a separate option. Users can share their TikTok account through different applications. 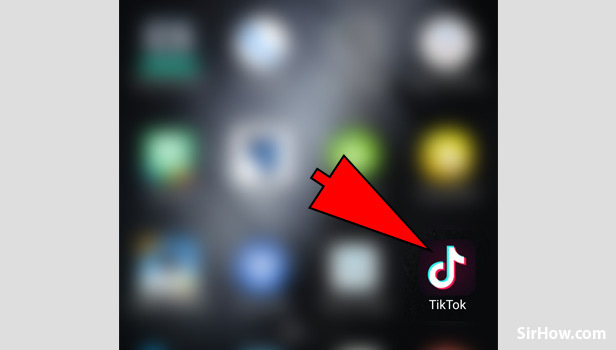 The procedure to share TikTok profile is easy the steps to do this are explained below. By following the steps explained below, you can share your TikTok profile either through an app or other platforms. 1. Launch TikTok : Launching the application is the first step. To launch the application, you need to open the app from your app drawer. 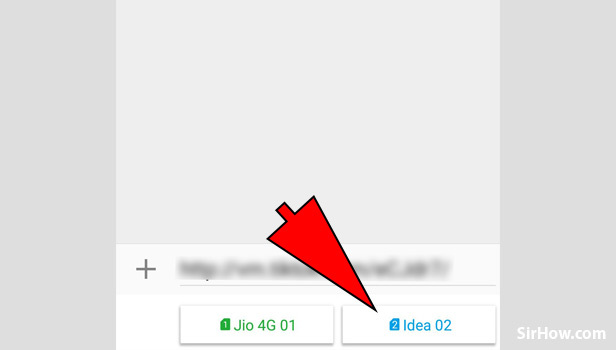 Locate the application icon in the app drawer and then tap on the TikTok icon as shown in the picture below. 2. 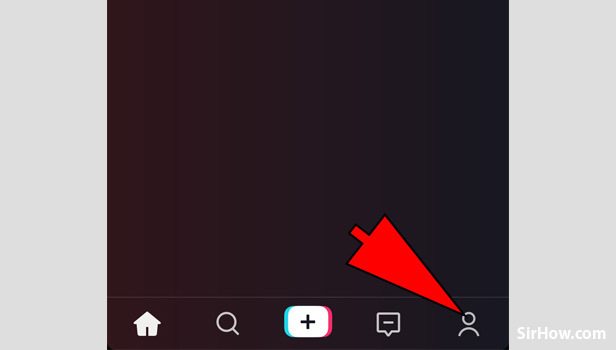 Go to Profile option : By default, the TikTok application will open in the feed section. You have to then go to your profile section which you can do by tapping on the person icon as shown in the picture below. The option to go to your profile will be located in the bottom right corner of the screen as indicated by the arrow. 3. Tap on the "Three dot" option : Tapping on the profile option will give you the following screen as shown below. In the top right corner of the screen you can find a Three dots option that represents the profile options. Tap on it once to access all the options regarding your profile. 4. 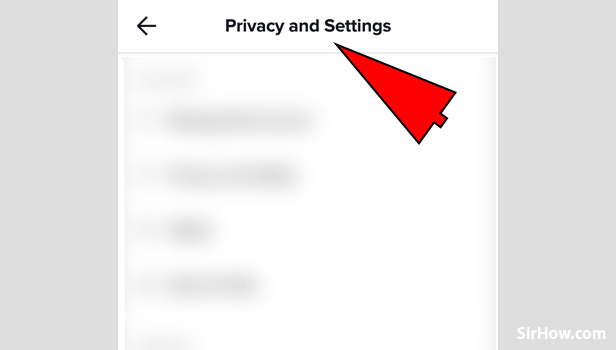 Select "Privacy and settings" : Tapping on the Three dots option will give you a drop down menu wherein you will find different profile options. From the list, you have to tap on the "Privacy and settings" option which will open the privacy options as shown in the picture below. 5. Tap on "Share profile" option : Privacy and settings options will open as shown in the screen below. 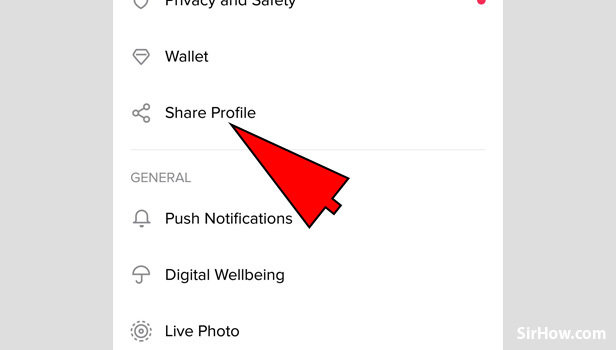 From the list of options available you have to first locate and then open the "Share Profile" option as indicated by the arrow below. This will enable you to promote or share your TikTok profile. 6. 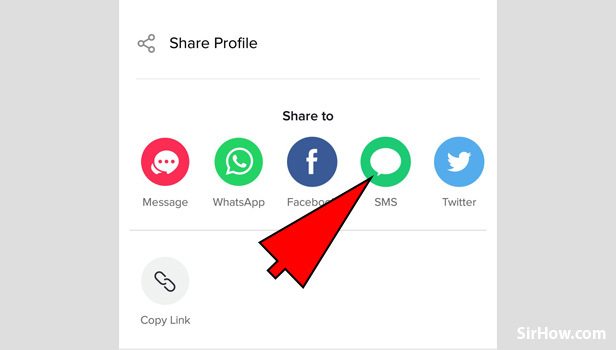 Select the Mode of sharing : After you tap on the share profile option, you will get the screen shown below. This is the screen wherein you have to select the mode by which you want to share your profile. In this case we are concerned with the most basic method that is SMS, therefore tap on SMS option as indicated. 7. Enter the Receiver details : Tapping on the SMS option will give you the screen shown below wherein you have to send the text message. You have to enter the contact details of the receiver to whim you want to send the message. 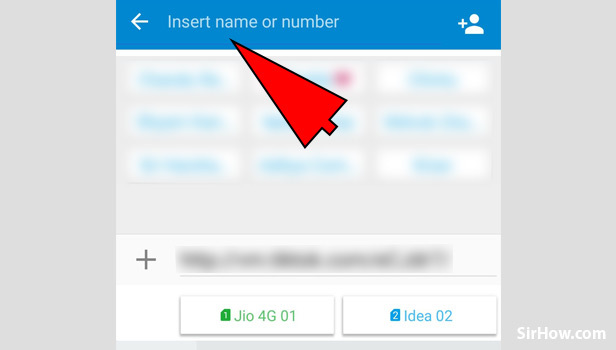 Tap on the rectangular bar as shown below and there you enter either the name or number. 8. Send the message : After entering the contact details, the last steps is to send the Text message. To send the text message, Tap on the send option after which you will receive a choice of SIM card. Tap on the SIM card of your choice after which the message will get sent automatically. The message will be a regular text message wherein there will also be a link inviting the person to your TikTok profile. Therefore by following the steps explained below, a user can share his or her TikTok profile by SMS as well as other applications. The procedure to share TikTok profile is a simple and at the same time easy procedure to execute. There is neither any requirement of a third party app, nor any online tools. The option to share TikTok profiles is open to each and every individual user regardless of their account or content.